Aww, thanks Cami! That means a lot coming from you. I admire your fashion aesthetic so much. 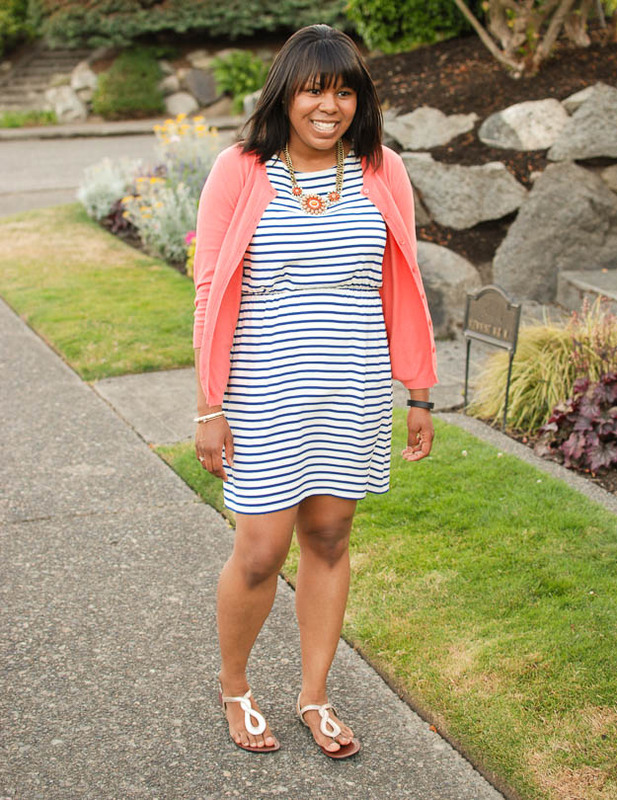 Coral is gorgeous with navy stripes! Thanks for the tips Kelly. I appreciate. I’ve been wearing a denim jacket in the mornings, but with the weather we are having it’s no longer necessary. 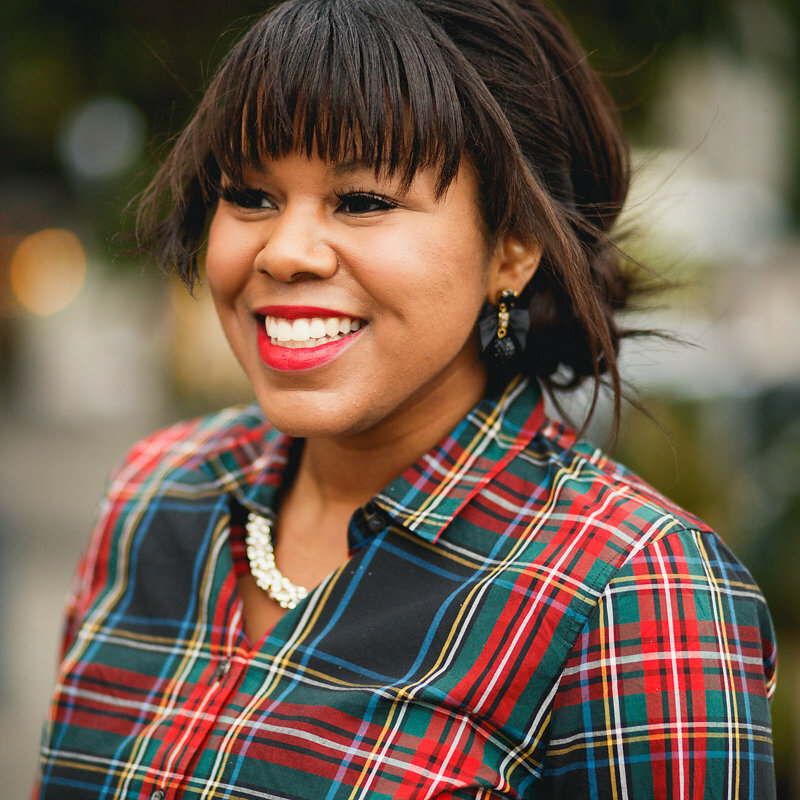 I like the red blazer idea, I thought about a red cardi too. Oh thanks Mil! 🙂 You’re so sweet. Yeah at this point I’m tempted to just walk around in a swimsuit and nothing else. It is sooooo hot!! Happy 4th of July. You look chic as always. Oh, thanks so much! You’re so kind. Have a nice weekend. 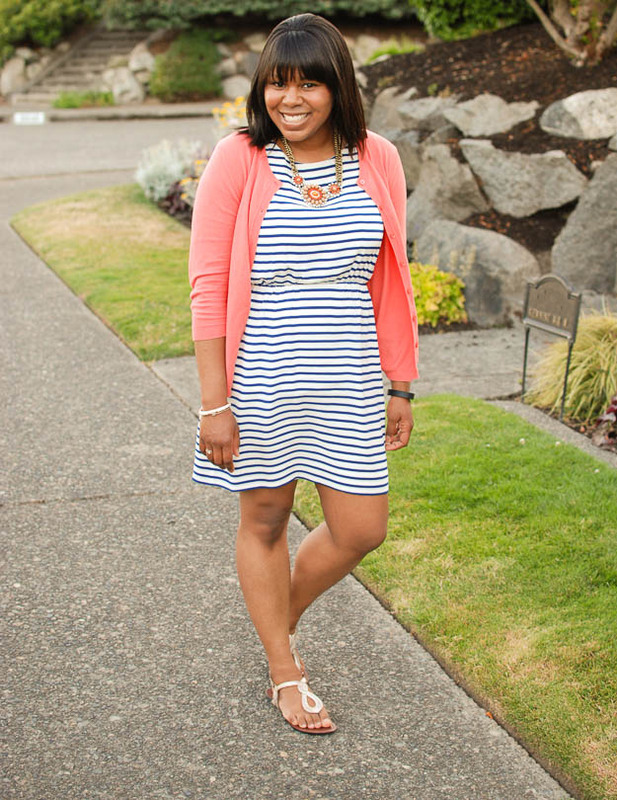 Really cute classic stripe dress and it goes so well with pretty coral pink too! Thanks Prudence for the kind words. You’re so sweet. 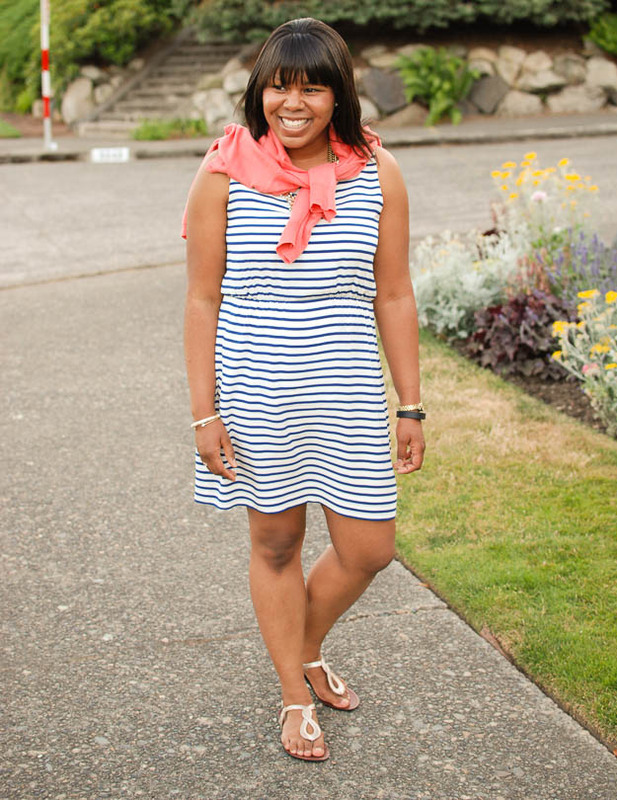 You always look great.Love the coral with navy.A bright yellow cardigan and some girly flats would look good too. Happy 4th to you and Jason. I like the yellow cardi idea. I actually have one that I could wear with it. Thanks for the styling tips. Happy 4th to you too! 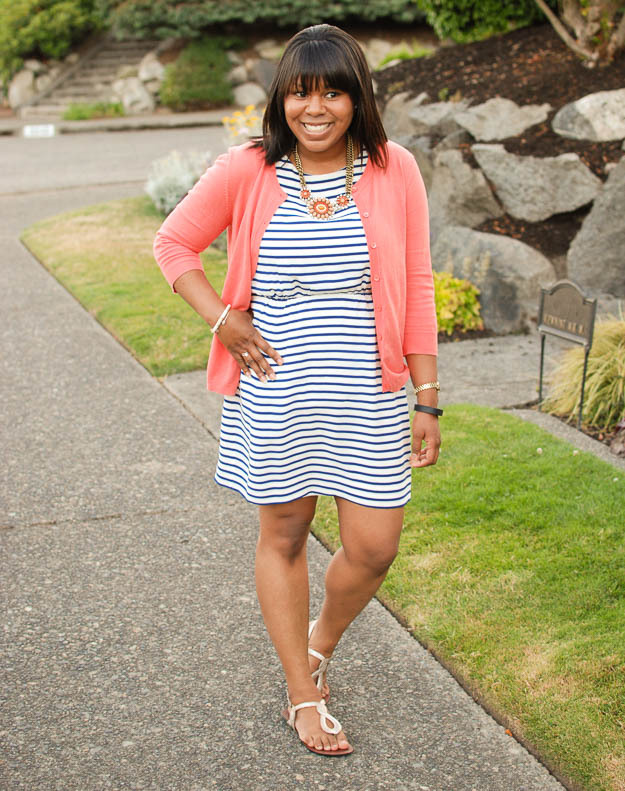 Love yuor outfit, the stripe dress looks gorgeous and it goes perfectly with the coral cardigan! Thank you for the kind words Vivian! They mean so much. 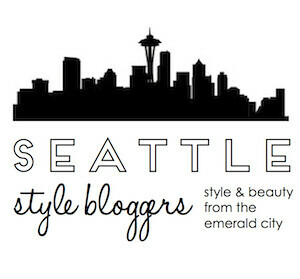 I like the idea of a waterfall blazer or a leather jacket. Those are good closet staples to have. My weekend was good, thanks. Hope yours was too. Beautiful colors, such a great smile as well!